After 84 days, I’m finally finished the edit of this chapter…at least I hope I am. I completed the fourth edit this afternoon/evening right before drafting and posting this, but I still want to do a breeze through to check the pacing, because I’m still not entirely sure about that. This…was a tough chapter to edit, and it’s really funny how the length of a chapter has little to do with the difficulty. I’m sure there were longer chapters prior to this that didn’t take nearly as long, as I’m almost certain this was the longest editing duration so far. The cover image is already prepped with words and all, so the next scheduled editing session should consist of that pacing check, and once I’m satisfied that none of you will be too bored with it, I’ll post Chapter 10. FYI this week’s picture is exactly how I see their height differential. Hell, she could possibly be standing on her toes and still be that petite. It’s a minor pet peeve, but I can’t imagine the Great General being short, and I know I’ve probably beaten this horse long dead, but this was my main disappointment with my commissioned picture. I posted the review for An Ember in the Ashes yesterday evening so I’m down one review, but I also just finished the Zelda manga I was reading, so there’s another. I’m just going to look at my book reviews as yet another endless task *shrug* I am going to review Never Never in one post not three, so that cuts it down a bit. I made it to the “game proper” in my Story part (you’ll understand what that means when you read it), and like most of my reviews, a ton of revelations came flooding my way as I’m working on it. 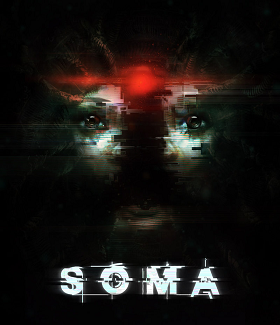 There are a lot of things that don’t add up, and while they could be errors on the developers’ part, SOMA seems too well done for all of the inconsistencies to be due to that alone. I’m starting to wonder if my first thought about it was correct, even though it’s never confirmed and could definitely be argued. It’s similar to the plot of the Futurama episode “Obsoletely Fabulous,” where Bender receives an upgrade. While obviously the show plays itself for laughs, there’s a definite “Reality is what you make of it” motif in the mix. Good luck with the blog touch-ups! For the record, I think everything already looks fantastic. Aw thanks! I’m thinking I want it to be more…I don’t know reflective? Even though I love the northern lights cover, I’d picked that because my original reason for blogging was to post Northern Lights, but now it’s grown beyond that, so I want to figure out a different logo I suppose.